Dan Satterberg is now unchallenged in his bid for re-election as King County prosecutor. 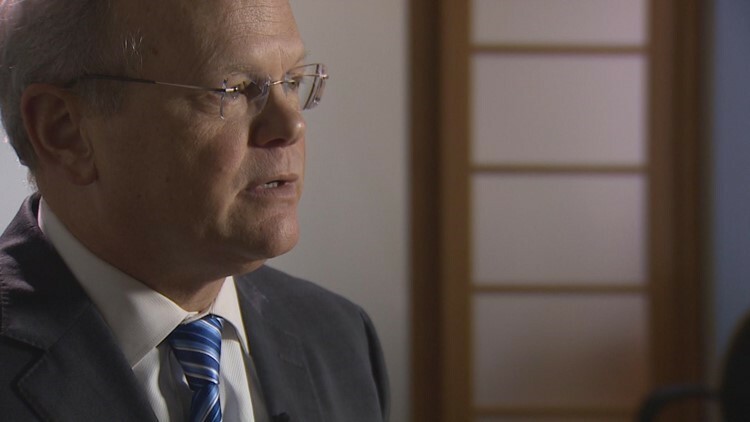 Dan Satterberg is now unopposed in his bid for re-election as King County prosecutor, after his opponent suspended his campaign Friday. Challenger Daron Morris tweeted Friday that he is suspending his campaign immediately due to "medical reasons." "While I expect to make a full recovery, the present circumstances prevent me from continuing my campaign," he wrote. "Beyond that information, I ask for privacy for myself and my family." Morris added that he believes "we had a chance to win." Satterberg has been elected three times as a Republican. Earlier this year, he told The Seattle Times he is now a Democrat, saying he didn't want anyone confusing him for a supporter of President Trump. Morris, a Democratic public defender, previously criticized Satterberg for administering "an unequal system of justice." On his website, he stated that he has "watched this county enforce the law with a heavy hand when dealing with communities of color, the poor and vulnerable families. In his statement, Morris further states, "Though I am saddened we cannot continue our journey together, I am proud of what this campaign stood for and what it accomplished. "We enhanced the public conversation about the inequalities that pervade our justice system. We laid out specific policies for local reform. We heightened awareness about the central role our Prosecutor's Office must play in effectuating change." "I hope that the work we have done these last few months, even though left interrupted, will provide some additional voice to individuals and communities who are struggling and striving for justice and fairness."